To lose weight you need to go about it the same way you would achieve anything. Set realistic goals, expectations and educate yourself with the most up-to-date studies out there. Note: We have updated this article on September 30th, 2016. Studies have shown that simply writing down your workouts (source) will help keep you in the gym longer and keep you progressing. 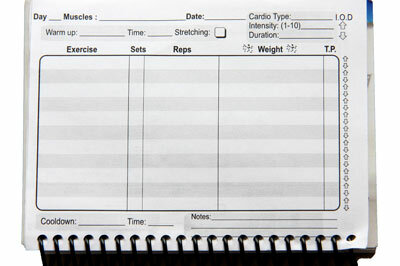 Try a workout diary or log. Working out with a partner increases motivation and who doesn't like to talk to someone while they are having an endorphin rush? It will help keep you on track and spend less money. Progressive overload, and eccentric type training is extremely important for increased muscle mass (source). To lose weight using a proper diet and exercise plan expect to lose 1-3 pounds a week. Chances are that if you are losing more than that you're probably cheating with pills or taking some sort of diaretic. A recent research study concluded that people that snacked on cereal instead of their chips counterparts lost more weight. The gym was created for working out not taking 10 minute breaks between sets. What do you want to get out of your workouts? Why not train that way. A lot of people want to bulk up and then do 130 minutes of cardio. Sit down and think out your workout in accordance to your goals. 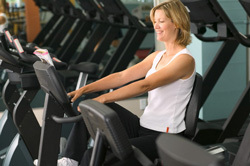 Many people rely on the media to feed them information about fitness. Many fitness professionals can't stand myths about weight loss. Ie. The new fad of the a magic shaking fat loss machine. Different people need a different caloric intake, workout and motivation. The 90% to 10% rule implies that you eat right 90% of the time and eat 'ok' the other 10% of the time. So you haven't eaten well in some time? The chances are that it shows. Start today and make a list to ban those items that you just can't resist. I'm not saying to go crazy but just be aware of your gains and loses, it will help keep you on the track to improvement. There are lots of awesome new wifi scales that help motivate you. Before you order those fries with the white bun burger, think about what you're goals are. Do you really think you'll get there eating like this? The less temptation you have in your kitchen the better. Bad food can come in nice colorful packaging. The best way to tell if it's good for you is, did it just come from a package? Vinegar helps regulate blood sugar levels (source). Also, try cinnamon on your morning steel cut oatmeal. UPDATE: Upon the most recent study with regards to an increased chance of cardiovascular disease when supplementing with EPA/DHA it is recommended that you eat fatty fish two times per week. Not only does coffee help increase your body temperature but recent research suggest that coffee also helps decrease heart disease by as much as 40% (in women). Water does not contain fat, sugar or carbs. Aim for drinking 8 glasses of water per day as a goal. It's clearly a waste of calories and you know this already. Why are we even still talking about this. When you start logging your food intake you start to realize what portions are from which macronutrients. The more you can remind yourself to eat right, and workout the better. This could also be useful for your 'weak' moments in the night. Spices are very healthy and loaded with flavour. There is no excuse not to use them. Put them beside where you prepare your meals. A self-contract will help keep you on track. It may also bring your 'co-signer' into a certain contract to help you achieve your goal. Look at your progress monthly and reassess. This is the only way to see why you aren't improving to reach your goals. Salad is always available at restaurants, just make sure you add the chicken, tuna and nuts to keep it packed full of nutrients. Skip the dressing and you and I are going to get along well. 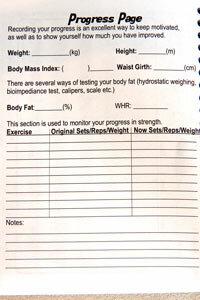 Get your progress log book now. Reduce your stress and stay in control of your workouts. A self positive outlook is a great attribute to have. A personal trainer is a great tool to help you stay on the right track. Sticking to the same cardio machine can wreak havoc on your muscles and actually increase the risk of injury if you try something other than that machine. Stretching is important for injury prevention and overall health. After all, a longer muscle is a stronger muscle. Dynamic stretching should be encouraged before a workout while static stretching is good for after when your muscle is warm (source). After workout shakes have been proven to help increase muscle mass more than just drinking water. Your body needs those fast acting amino acids found in whey protein to help build muscle mass. Recent research suggests you have 3-4 hours instead of the 90 minute window that some fitness professionals suggest (source). BMI is a good indicator for the average individual but if you're in good shape with a decent amount of muscle mass you should forget about it. Just wait for the cold to pass and then train hard again. Nobody wants your cold or flu. Here are the guidelines. High Intensity Interval Training is the best way to burn fat for the little time that you have. There is no excuse not to encorporate this into your workouts. The chances are that you're not eating enough. Wait, I'm going to guess that you have plenty of fruit. 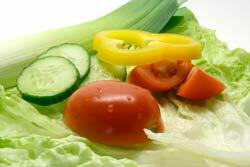 Lets cut down on the fruit juices and up your vegetable intake. Know when your body tells you to eat simple carbs/fat and prevent it. Bored of the same routine? Try cross training with a new sport. It's a great way to keep in shape and stay happy. Whey protein is an excellent way to keep yourself in an anabolic state after a catabolic workout. Read up on protein here. The closer the gym is to your house the higher the chances that you'll workout. If you plan on moving, consider the closest gym. There are plenty of ways to prevent overtraining and one of them is going outside and learning a new sport. Not only is Quinoa a superfood but it contains complete protein and tastes great. Read up on this awesome grain. If you are lifting weights for reducing your body fat you only need to do abdominal exercise three times per week. 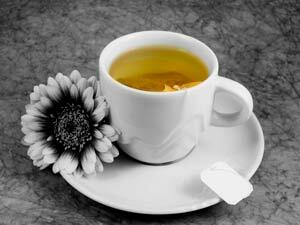 This supertea is great for increasing metabolism and decreasing overall fat. Imagery is a great tool to help you complete the scheduled amount of reps and sets (You are writing your workouts down, right?!). Don't forget about training your brain daily with new brain puzzles. It's fine to have a goal but don't forget about keeping your mind sharp. You should be using this as part of your healthy diet. It contains an excellent fatty acid profile. The only condiment that should be in your fridge should be the magical vegetable bottle. Try the more natural kind without extra sugar and preservatives. You usually find this in the refridgerated section. Oatmeal is a great way to make sure you get your complex carbohydrates in the morning. It should be mixed with some fresh berries and whey protein or egg whites. Periodization refers to switching up your goal to make sure your body does not adapt to its stressors. A great way to increase your fitness level. It increases your speed, agility and boosts your metabolism longer than the slow rep counterpart. 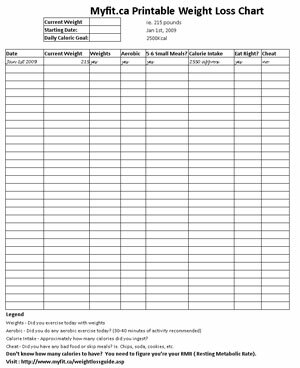 Getting a customized meal plan created for you will help suit your needs but if you can't get one made we have a great sample. Probably one of the best ways for a quick workout and to burn fat. Find out how to do it here. Bench press, deadlifts, squats and military press. They will decrease fat faster than any isolation exercise period. They are not just for athletes. Try this recipe creator. You can still have complex carbohydrates but only at breakfast. The chances are that the sugar content is through the roof. Try Go-Lean Crunch or Vector. Great protein and great good fats. Just taking the stairs in a day can drastically increase your metabolism. For those of you who still do it, think about what you're doing to yourself and your family. Hot yoga makes you sweat and you might be sore after but did it create fat melting, muscle pumping muscle? NO,this is the biggest fad right now. Yoga and pilates are incredible for stress and relaxation but don't think it's going to help get your washboard abs. You say that you've done everything to lose weight but after reading this list, have you? It's a great way to save time and keep your heart rate elevated throughout your workout. Don't be afraid to put notes all over your house, on your steering wheel, on the door to your office. It will help keep your mind focused. These are definitely the best sources of protein you can eat. Workout music is an excellent way to keep on task and forget about how tired you are. The shortcut to success is focus and sticking to your plan. Do you know everything about weight loss? After doing your homework do you have a question to ask a support group? Having a support group is known to help improve adhearance to any change and weight loss is no different.